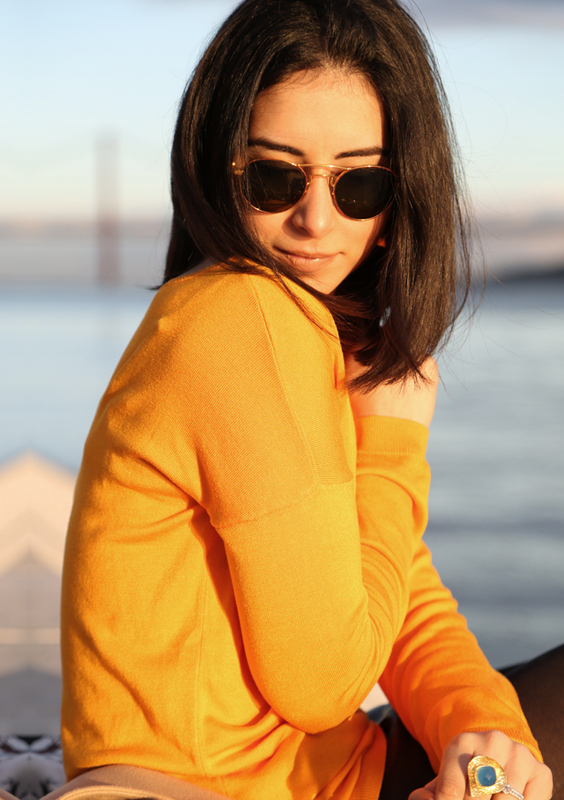 Being the sun-child I am we made the most of every sunset in Lisbon. 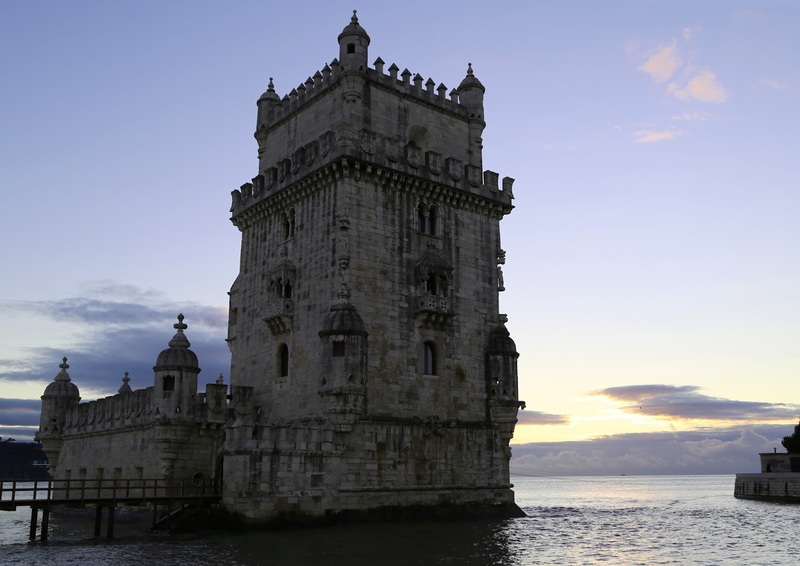 On a trip to Belem tower the winter sun was reflecting over the Tagus River shining beautifully onto the tower. Built in 1515 as a fortress to guard the entrance to Lisbon's harbor, the Belem Tower was the starting point for many of the voyages of discovery. The stonework was intricate with plenty of history behind each sculpture and motif. 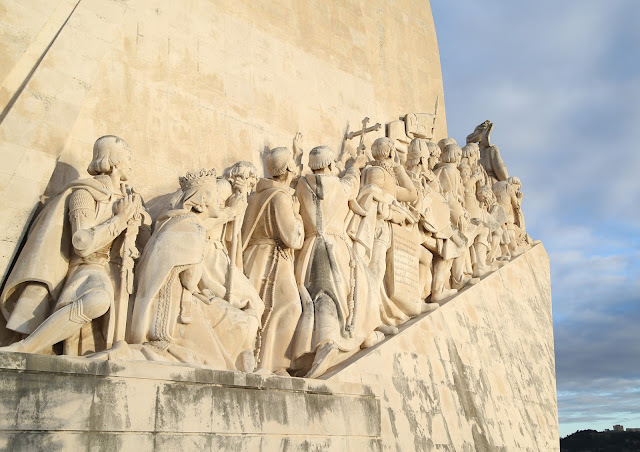 At a stone throw away the Padrão dos Descobrimentos stands tall, a monument that celebrates the Portuguese Age of Exploration during the 15th and 16th centuries. Lead by Henry the Navigator the statues of 32 other historical figures linked to Portugal’s discoveries stand either side of the ramps. With so much history and charm behind these two sights I would definitely recommend a trip to Belem. In all honesty I have just discovered the joy of city breaks, I used to only ever travel to hot countries, where my ‘to do’ list would be; tan, sleep, tan some more, sleep some more. I’m starting to grow very fond of little Europe trips, with so much history and plenty to do; it’s hard not to love.